Saturday. 7th April 2012. Ipoh with Homies. Depart from Wangsa with Kyrina being the driver, and PF as her co-pilot. 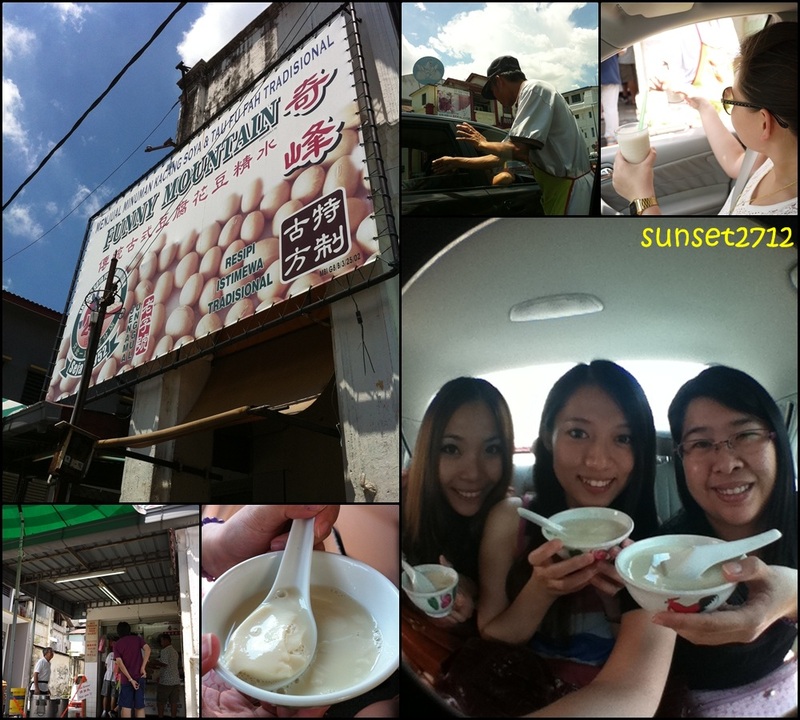 Reached Ipoh... and our first stop was none other than my favourite 大树脚 yongtaufu! Second stop, Funny Mountain soya bean & tau fu fah... slurp slurp... It's a 'drive-thru' soya stall yo! The man will just come over to our car and ask for our order, two minutes later, we can conveniently enjoy the yummy soya bean in the comfort of ones automobile. I had a bowl of mixed soyabean+taufufah and it only cost 90cents!! Sin Eng Heong being our third stop. The place is always packed with tourists queuing to buy their famous kaya puff! So, we just went in and reserve several boxes to be brought back to KL the next day. The lady working in the shop is not very friendly though. 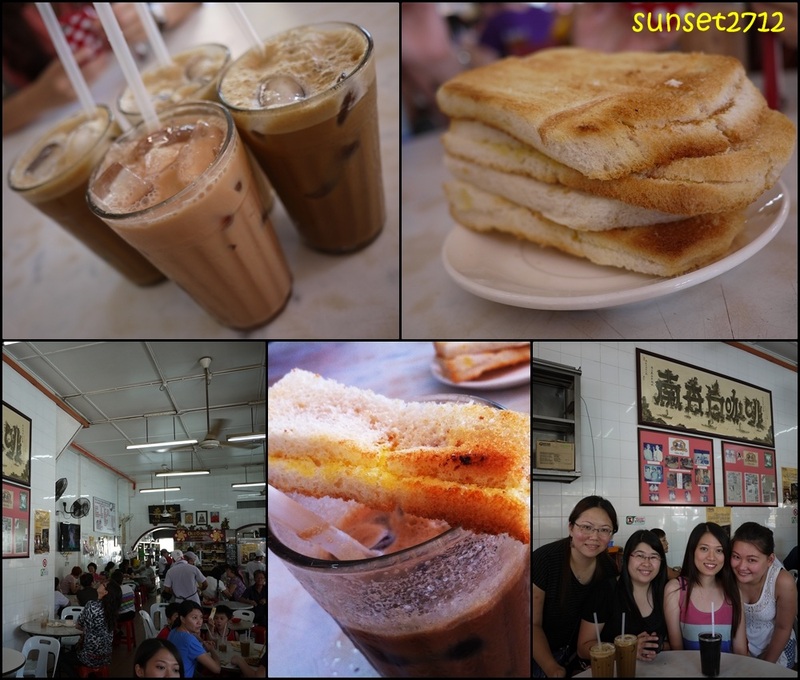 Next, would be the original Oldtown Kopitiam! All of us ordered their specialty oldtown white-coffee except for Chloe, and also two portions of kaya butter toast to be shared among 5 of us. hehe... The satisfaction of gulping down this icey cold coffee on a super hot day is just awesome! 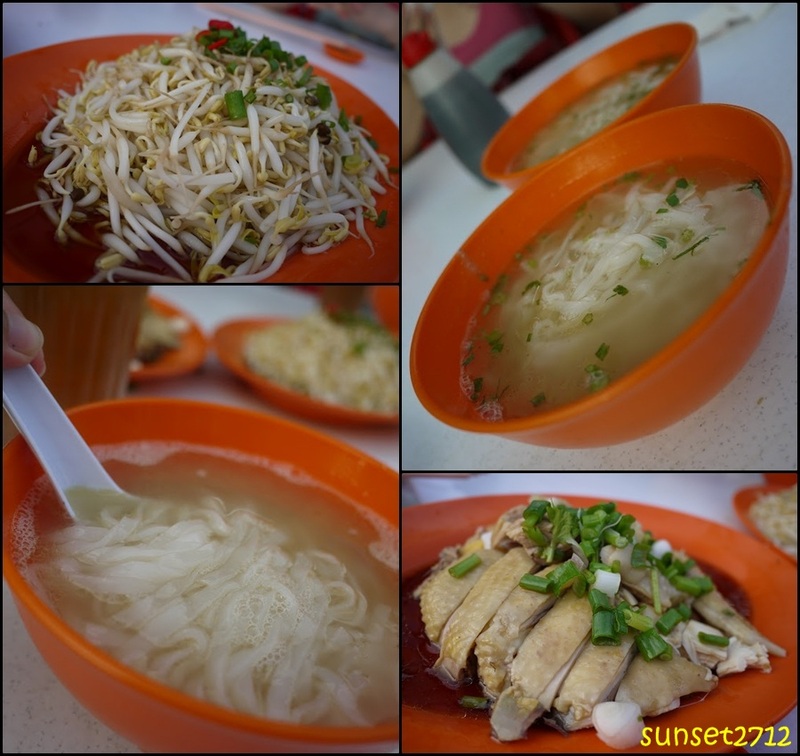 Ipoh famous sar hor fun, with beansprouts and Hainanese white chicken for dinner. After dinner, we went to the newly opened Jusco for some window shopping. Too crowded, coz it was after all, a weekend where everyone will have nothing much to do besides loitering in malls enjoying the air cond! 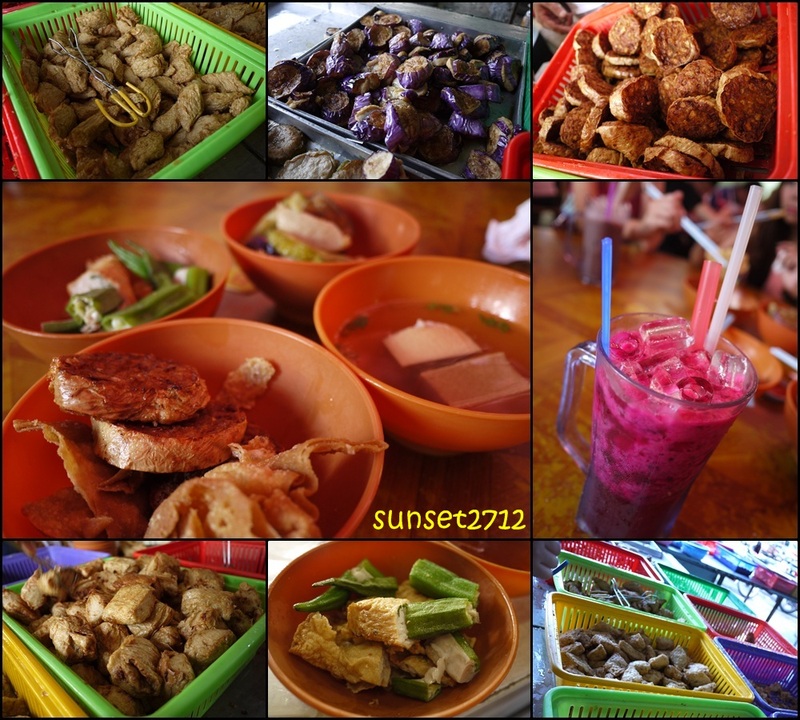 hahahah... We decided to get of from the place and go 'tapao' somemore good stuff at Pasir Pinji. No pics for this one. Snow Beer, which was really quite overrated. 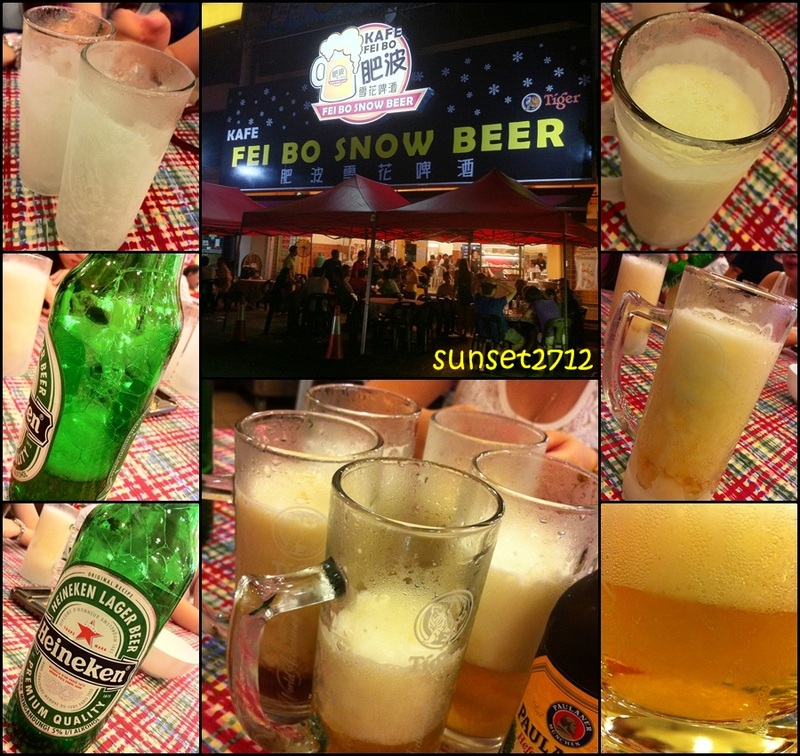 It's basically normal beer that was really chilled, poured into a very cold mug, and voila... it became Snow Beer already! Nothing to shout about on this, just it's also good to be drank on a warm Malaysian night. There we go, last stop for the night before we crashed at KC's place.